The organizer reserves the right to make any changes in the program and performers. Listen to the chamber classical music or even jazz music in an opulently decorated ceremonial space. The Mirror Chapel, originally dedicated to the Annunciation of the Virgin Mary, is a unique sanctuary and one of the churches of the former Jesuit college, Prague Klementinum. The Mirror Chapel was built in 1725 most likely by František Maxmilian Kaňka. 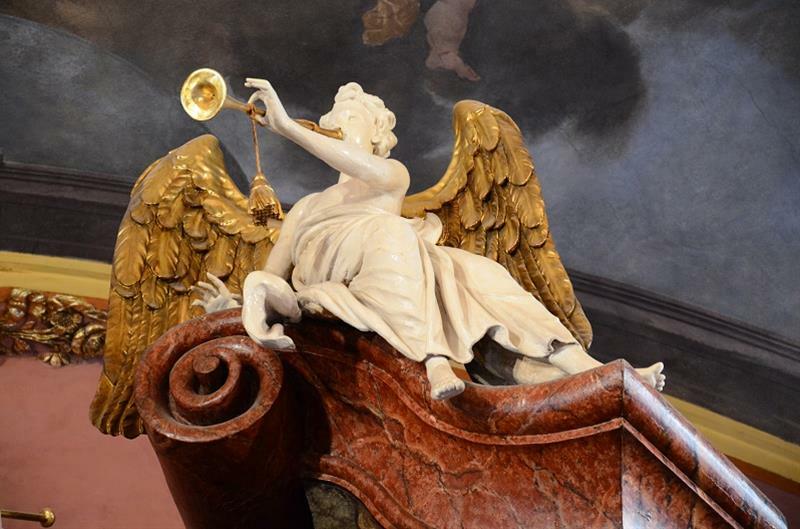 The impressive installations of Baroque mirrors on the ceiling make the chapel unparalelled worldwide. Together with gilded stuccos of Bernardo Spinetti, marble panelling and ceiling frescoes by Jan Hiebl, these mirrors create great artistic value of the interior. 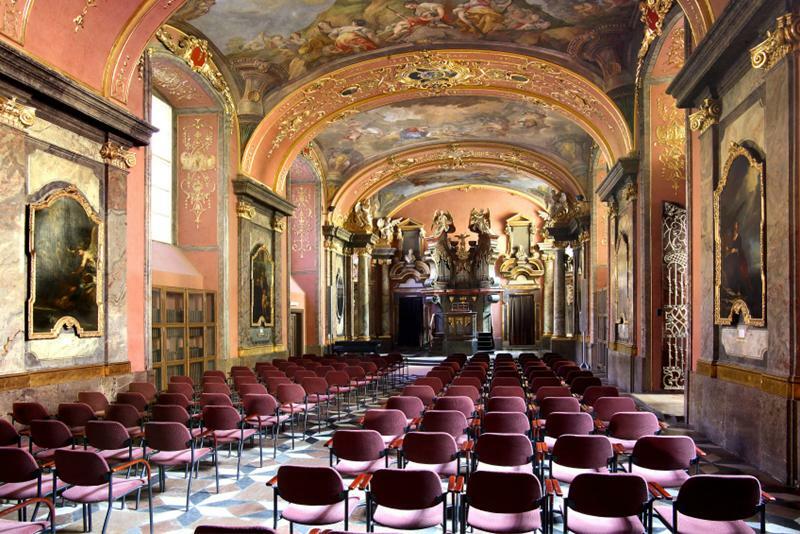 The chapel had been repeatedly desecrated and consecrated until it became a Prague classical concert and exhibition hall in 1936. The Mirror Chapel houses two precious Baroque organs and classical concerts held here are a unique and unforgettable experience. Klementinum is one of the largest complexes in Europe consisting of the Baroque library, Meridian hall, Astronomical tower and Mirror Chapel. It is also the main seat of the National Library.